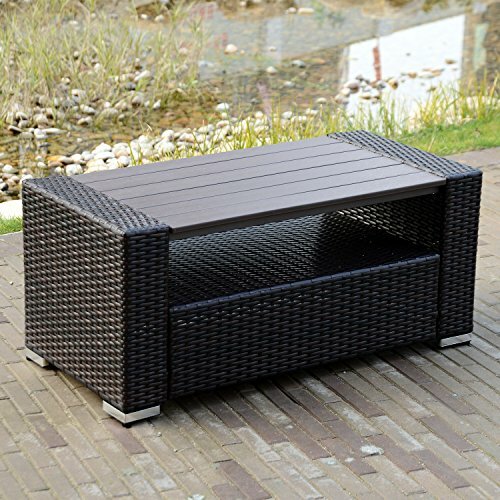 WALCUT Wicker coffee Table with Storage Outdoor Patio Garden Backyard Furniture, dark brown by WALCUT at COTM Blog. MPN: USHG4108. Hurry! Limited time offer. Offer valid only while supplies last.